Injuries to the foot can be quite common and painful. As with many injuries, it is important to first isolate the problem to determine the best mode of treatment. 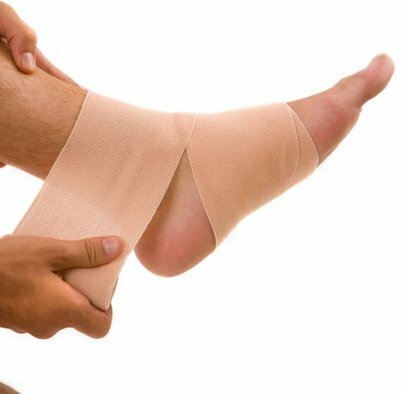 If you have a new injury to your foot or lingering pain from an old injury, contact an experienced specialist to begin the healing process. Your Chiropodist will discuss with you how the injury occurred and work with the affected area to determine the exact location of the injury and get an understanding of your range of motion. An x-ray may be used to determine if the bone has been fractured or broken. Treatments for foot injuries are as varied as the injuries themselves. Once we have determined if you are suffering from a strain or sprain, break or fracture you will receive the highest level of care to get you on your feet again. Whether you need a cast or brace or just a regimen of heat, ice or stretching, you will leave our offices knowing that you are on your way to feeling better. Contact us today to have your foot injury assessed and a treatment plan that will give you the best results possible.